Online payment gateways enable customers to make payments on any e-commerce platform. With variety of options available, we thought to share the best online payment gateways in Nigeria that you should consider for your online business. Here is our list of the top online payment gateways in Nigeria. A simple and secure way to send and receive payments globally. VoguePay’s global coverage allows consumers and businesses to safely make and receive payments in all major currencies, regardless of location. Interestingly, VoguePay also offers safe and secure platform to accept payment in bitcoin. You can accept one-time payments, set up subscriptions, and even receive donations. Multiple payment channels: Accept payment any way you want. Give your customers options. Developer friendly: Simple API documentation to make integration easy, even for non-developers. Easy Account Management: Opt for business or personal accounts based on your needs. Multi-currency support: Accept payment in multiple global currencies. Get paid in your default currency. Free integration: Easily integrate payment to your website using our plugin libraries and extensions. GTPay is a secure internet payment gateway developed by GTBank to facilitate payments online using debit Cards issued by banks on the Interswitch Network. 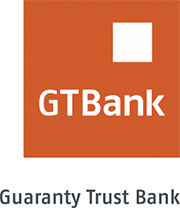 You must have an account with GTBank to use GTPay. Reduced sign-on fee: GTBank is a certified developer partner so we take off GTPAY set-up fee for our merchants and as such the set-up fee is waived for them. International Transactions (MasterCard, VISA): 3% of transaction amount; no cap. Webpay integrates directly into your website and enables funds to be paid into your account. Integration to WebPAY using an InterSwitch Certified WebPAY Integration Partner (CWIP) at no extra cost. Transaction Fee: 1.5%, subject to a cap of N2,000. Amplify is the smartest way to accept and manage recurring payments in Nigeria. Get your money within 24 hours: Payments made through Amplify will be in your company bank account within 1 day. Card correction technology: If there’s an issue with your customers’ card, Amplify will automatically retry until payment goes through, for up to 2 days. Multiple payment options: Accept payments in over 40 currencies from VISA, Mastercard, Verve, and American Express. Your customers will also be able to pay directly from their bank accounts. Accept payments without needing a website: You can accept payments without needing a coder. Create a simple form, send the link to your customer, and get paid. Rave lets you receive payments locally and globally with no hassles and zero set up fees. They make accepting payments online easy, safe and secure. Multi-currency support: Rave’s multi currency support allows to receive payments in multiple currencies at the flip of a switch. Rave also supports cross currency conversions. Multitenancy possibilities: An interesting feature on Rave is the automatic white label possibilities offered absolutely free at the flip of a switch. Card and account payments: Rave allows you to charge cards and bank accounts directly. So you can directly debit your customers’ bank accounts. We’ve listed the top online payment gateways in Nigeria, and we hope you’ve found this useful. We will continue to update this list as the year commences and add any noteworthy payment gateway. Please note: the list above is no particular order, and is based on our opinion. Information was from content written on their respective websites, and based on our experience using some of them for clients. Are you looking to start an e-commerce business or improve your existing one? If yes, let’s help you make this a reality. request a quote today. Do you know of any other that should make the list? Do you have questions or comments concerning the list above? Feel free to leave a reply in the comments section below.